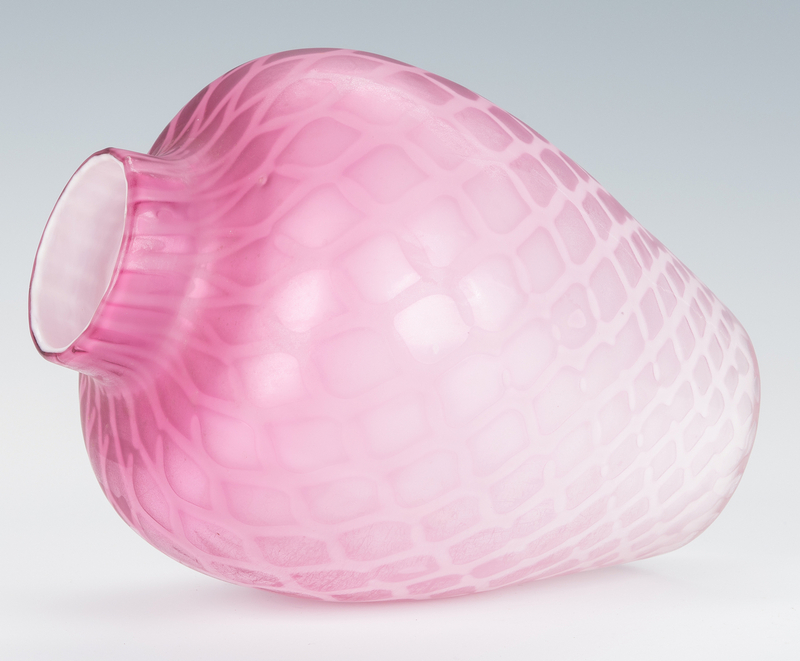 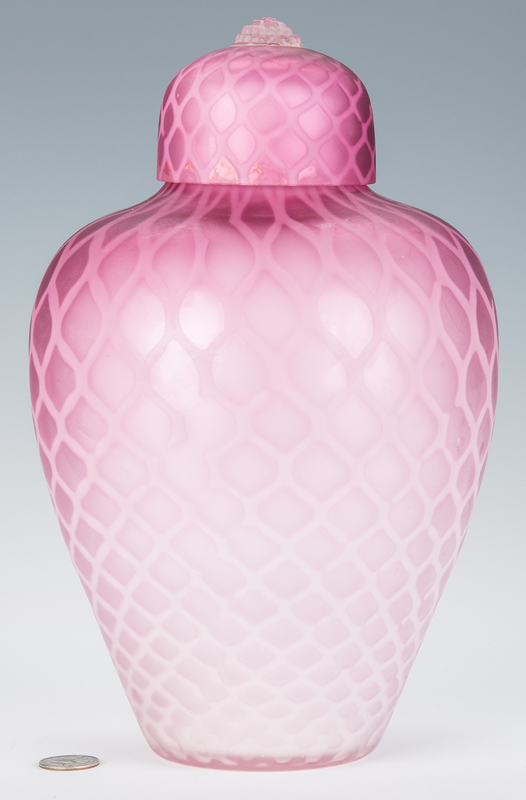 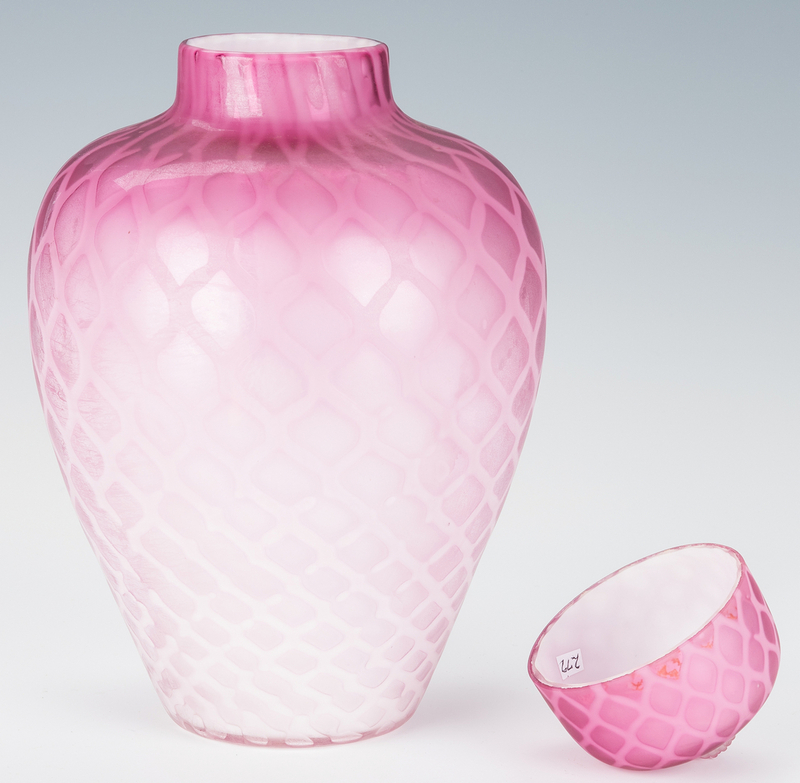 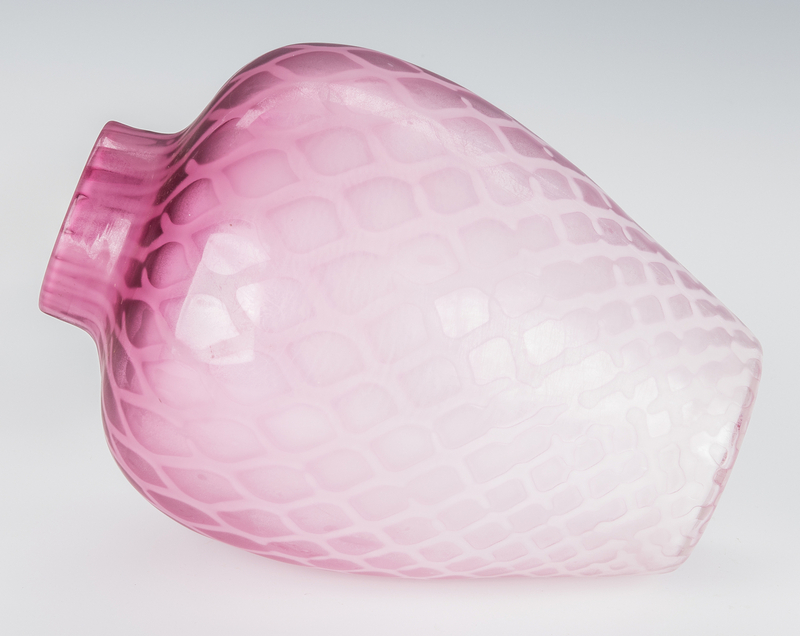 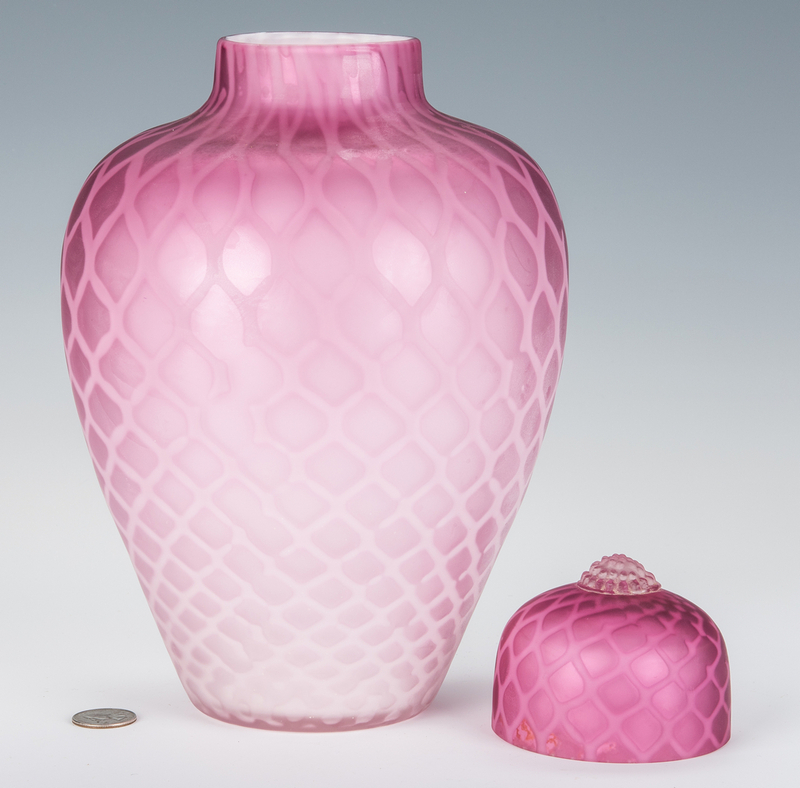 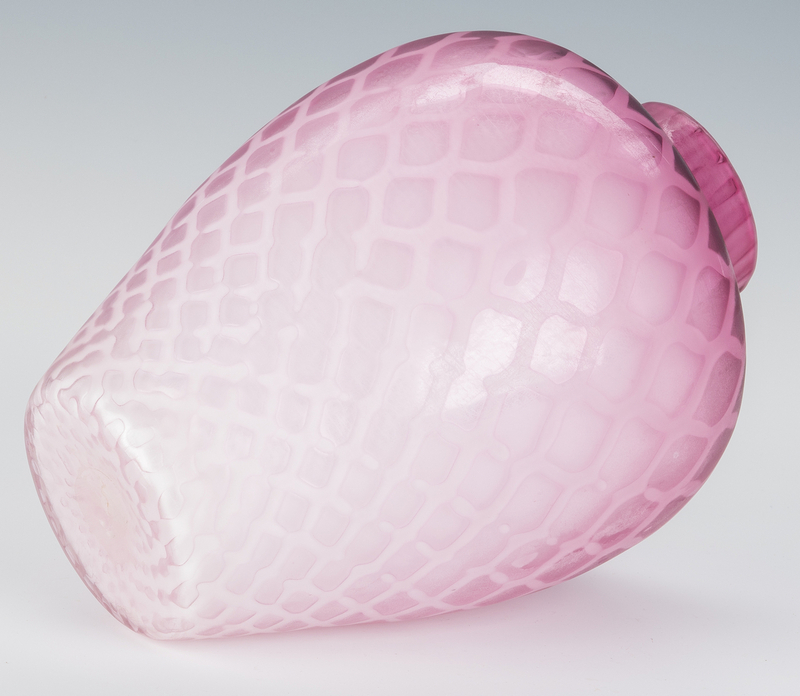 Large pink cased satin art glass jar in an allover diamond pattern, with domed lid and pomegranate finial, possibly Mt. Washington. 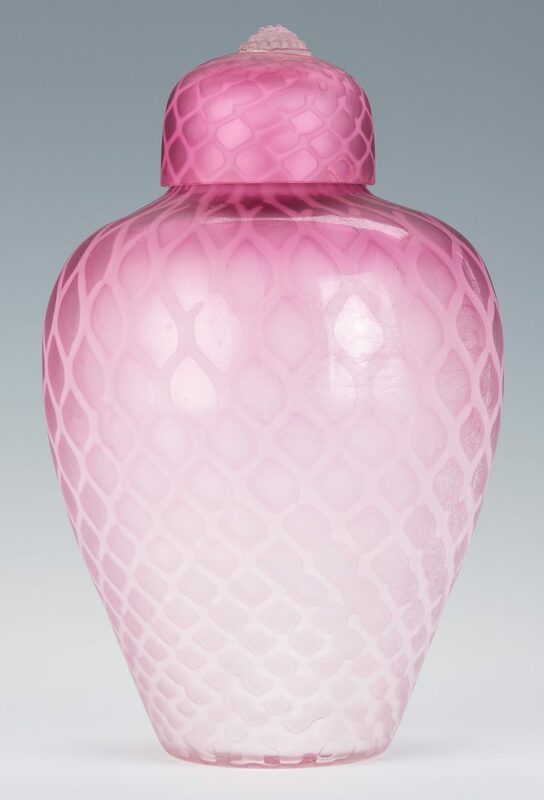 12 1/4" H. Early 20th century. Provenance: the estate of Marshall Lovell, Nashville, Tennessee. 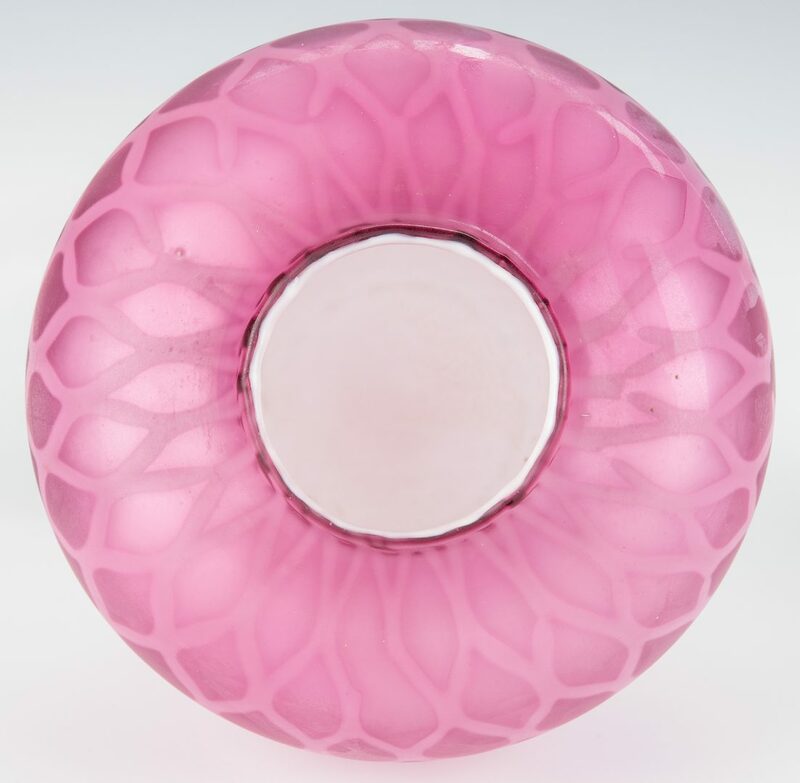 CONDITION: Very good condition; one tiny bubble at shoulder.